It looked like April LaLand-Sentmanat had no way out. Terrified for her 10-year prison sentence, LaLand-Sentmanat decided to put her faith in the Georgia Justice Project. 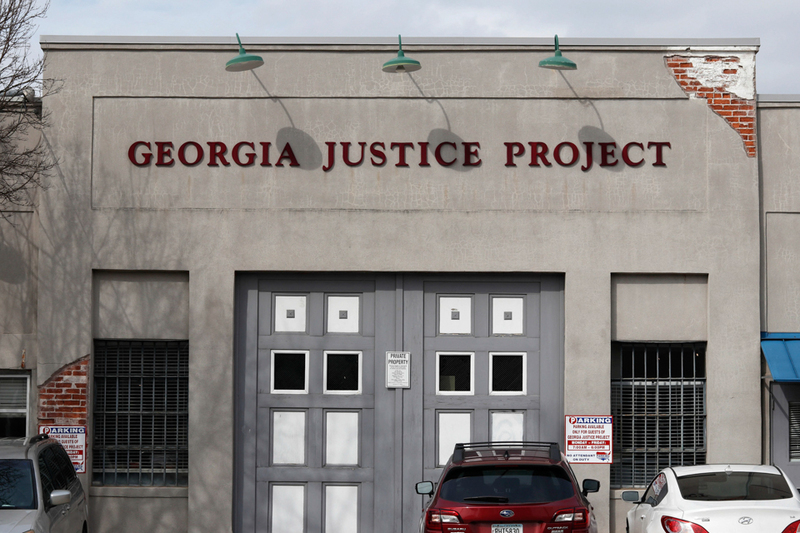 After 30 years, the Georgia Justice Project (GJP) continues to provide legal defense, social support, and employment opportunities to people convicted of crimes in DeKalb and Fulton counties. For people like LaLand-Sentmanat, GJP, a non-profit funded solely through foundations and donations, provided a last chance, life-changing opportunity. Why It’s Newsworthy: Georgia has the 9th highest imprisonment rate, according to the U.S. Bureau of Justice Statistics data for 2016. GJP offers a program that combines advocacy and action to help former Georgia criminals with re-entry into society. The first aspect of GJP’s program is legal defense. GJP’s attorneys and directors work free of charge and stress the importance of a fair fight. For LaLand-Sentmanat, the legal expertise and representation were invaluable in securing her freedom, but GJP provided something else that she desperately needed during her sentencing: compassion. “Doug [Ammar, GJP’s executive director] hugged me,” says LaLand-Sentmanat. A simple display of kindness showed LaLand-Sentmanat that to GJP, she was much more than a burden. “That was the moment that it all changed for me, the day that [Ammar] hugged me. That was the day I believed him, and I knew he was going to help me for real. And he has never left my side since that day,” says LaLand-Sentmanat. Beyond the courtroom, GJP pursues a humanitarian ethic similar to Ammar’s within its social services efforts. GJP’s social services process includes client interviews, a four-week trial period before the clients are eligible for representation and a period of treatments and counseling. GJP also provides cash assistance for a variety of needs, from court fees to groceries. GJP currently employs three social workers, two of whom work with clients. Depending on the specifications of each case, clients are assigned to one social worker, along with an attorney. 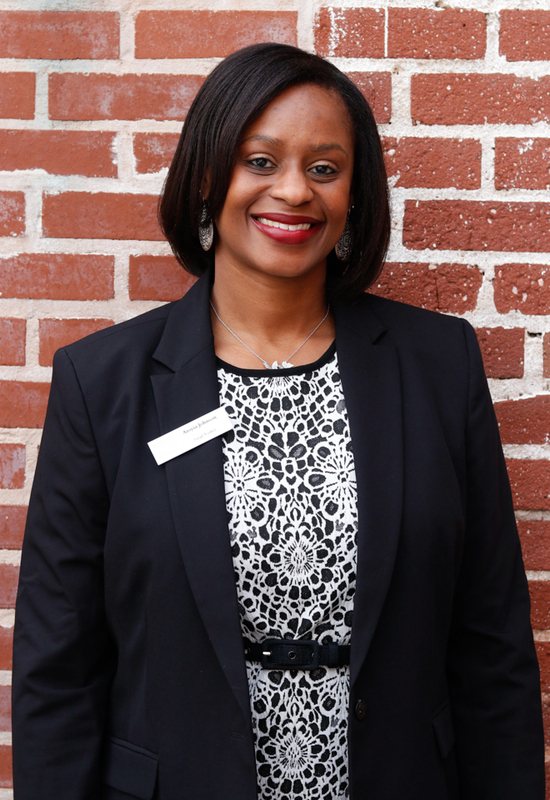 One of the social workers is Atoyia Johnson, who helps clients ready themselves for the working world. “I want to represent the people who are saying they’re ready to make a change or make some different decisions… I just sit down with them and strategize a plan and work with them in various areas so that they can be self-sufficient and move forward with their lives,” says Johnson. One of the biggest barriers preventing re-entry into society for ex-criminals is securing employment and earnings after release, suggests a study by Michael Mueller-Smith, assistant professor of economics at the University of Michigan. Johnson recognizes the stigma that inevitably comes with arrest and incarceration and emphasizes second chances as a critical aspect of GJP’s mission. “If people are released from prison and they’ve served their time, then that shouldn’t be held against them,” says Johnson. GJP’s social workers address the challenges that their clients face on a case-by-case basis. They help clients learn, or re-learn, the skills and attitudes it takes to get back on their feet with the odds aligned against them. Because there are no organizations in the Athens area that aid those that have been convicted of a crime, GJP assisted with a summit in the Clarke County area in March. Because they are the only organization in the state of Georgia that specializes in this type of work, their informative summits are at high demand. GJP also offers assessments of job-readiness and comprehensive support, along with robust connections with similar support groups and nonprofits to help secure employment for clients. Just like with LaLand-Sentmanat, GJP often enters a client’s life in desperate times. GJP’s formula for re-entry provides invaluable support in the lives of people with nowhere else to turn, according to Laland-Sentmanat. Caitlin Jett, Hale Trace, J. Thomas Purdue, Mallory Thomas, and Christy Quinton are senior journalism majors within the Grady College of Journalism and Mass Communication.